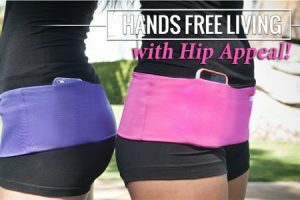 The Hip Appeal – my new favorite travel accessory – stretches around your hips and has three pockets to secure your valuables. Most ski resorts offer free skiing for kids five and under, but your kids can still ski free when they are ages 6 – 12 and even as old as 17. 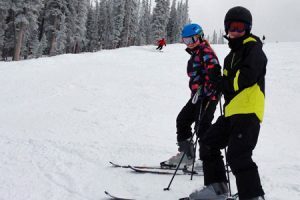 Here are some of the best kids ski free programs in the US. 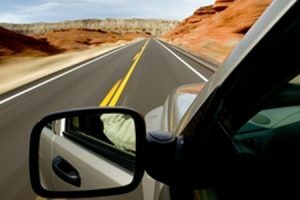 Do your kids know what to do in car emergencies? OnStar has developed a free downloadable ebook to help you discuss with your children what to do in an emergency. I love road trips and today I’m sharing my favorite apps, books, and games for the road. And you can enter to win a very awesome road trip prize package! I think travel is all about adventure, and sharing that quest to do more, and be more, with my family. No matter what your age, adventure and travel are two things you should never give up on. 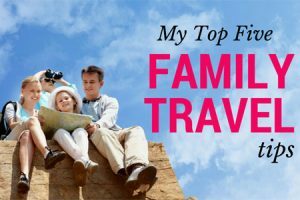 Not only will you become a family travel pro, while you are at it you can enter to win a family travel prize package that will make the whole family happy. Weather was an issue on our Rocky Mountain road trip. 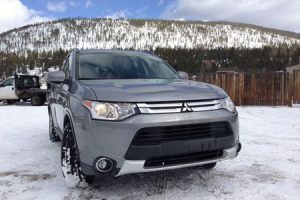 Thankfully, we were driving a safe, reliable, comfortable vehicle – the 2015 Mitsubishi Outlander SE with Super All Wheel Control. Trying the local cuisine and enjoying the food scene is all a part of the ski vacation experience. 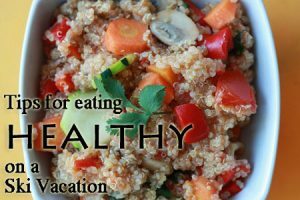 But you don’t have to indulge every day, every meal. We want our kids to love skiing as much as we do. But getting them on board is not all rainbows and unicorns. 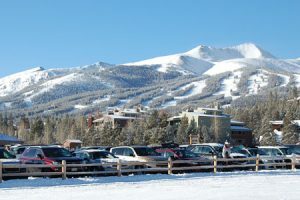 I’m so excited to embark on a three-week ski and snow adventure tour through three fantastic Colorado ski resorts: Keystone, Breckenridge, and Copper. 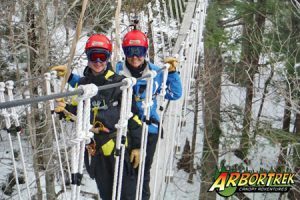 If you ski, you need to know the lingo – even if you’re not a ski bum. 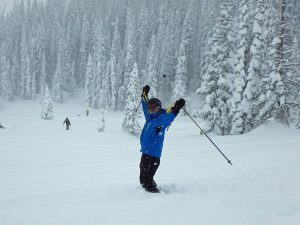 Here’s a list of ski slang that’s fun to know and even more fun to use. Passports with Purpose is raising money for Sustainable Harvest International. Your $10 donation gives you a chance to win a great travel prize and help families learn to farm sustainably.